Spurs were flying to open the Premier League season, claiming three straight wins – including a 3-0 victory over Manchester United at Old Trafford. However, they were stunned by Watford in their last game before the international break, a result Pochettino said he saw coming. "If Saturday we play in the same way … rather than take off players, I will be on the phone to say, 'Houston, we have a problem'. 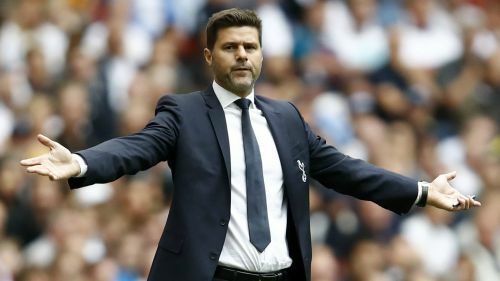 Come on," Pochettino told UK newspapers. "If, against Liverpool at Wembley, you do not have the desire and the focus to play [there is something wrong]. It is not about playing well, it is about attitude and to say, 'Hey, come on, we are aggressive and we try to win'. "If you watch the Watford game again, you see we played so slow, so sloppy, from the beginning. It was like we thought, 'OK, it is a nice afternoon in Watford, Elton John is in the stands'." He added: "To win games, we need to be focused for 95 minutes. If not, you always pay in football." Anfield. 2-1 down. Seconds remaining. Pochettino somewhat expected Tottenham's 2-1 loss at Watford, who along with Liverpool and Chelsea are the only teams with four wins from as many Premier League games this season. The 46-year-old said there were some worrying signs from his players following their win over United. "After we win at Old Trafford, we lost at Watford and we were bad," Pochettino said. "But after Manchester United, all the signals from the team were that we were going to crash. "And of course, I am guilty because I saw that, but I cannot change that situation."